MAGAZINE of the Week: I am on the hunt for the October issue of French Vogue. I love this cover shot taken by Mario Testino featuring the gorgeous Edita Vilkevicute. FIND of the Week: I have been tirelessly looking at wallpaper books this week to find the perfect background for some makeup videos I have coming up. Let me tell you, there is a lot of wall paper in the world, but I think I finally found the one I want: Marie Antoinette meets Modern Damask. NAIL COLOR of the Week: Essie Twin Sweater Set, I love this warm shade of red. Classique. EAT of the Week: Prune Plums are in season and it is the perfect time to make Ina Garten's Plum Tart. Scoop of vanilla ice cream on top, impressive indeed. RUNWAY of the Week: It is Paris Fashion Week and Isabel Marant just showed her very cool collection mixing leather with lace and structured blazers over light-as air-chiffon dresses. She shows you how to dress like a Parisian girl. MAKEUP LOOK of the Week: In a Parisian mood, I have watched this makeup look by Charlotte Tilbury about twenty times. 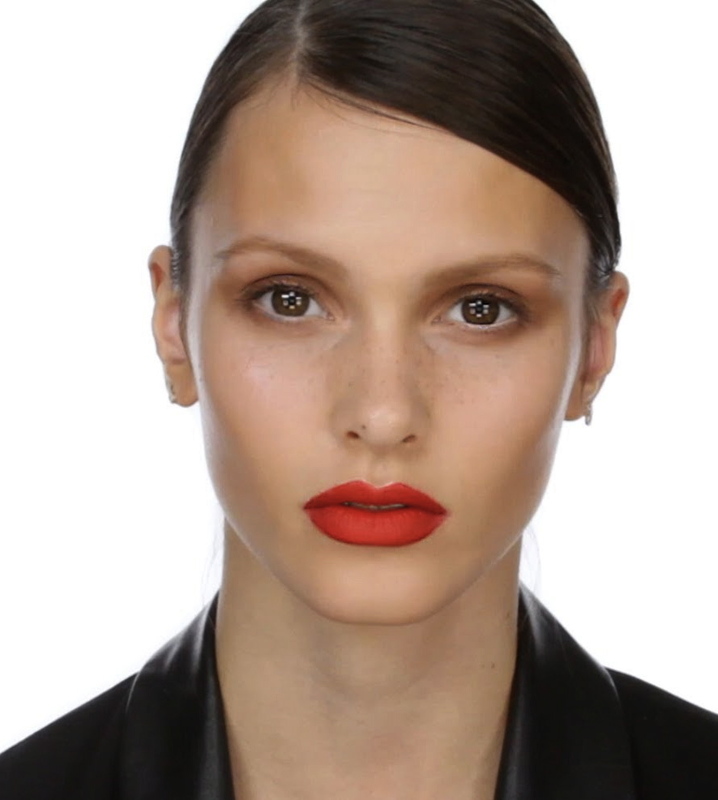 She shows you how to get a modern red lip inspired by a look she created for Kate Moss's Vogue cover. Watch Here.